San Jose Earthquakes Stadium by Steel Systems Engineering, Inc.
2014's BIM category winner is Steel Systems Engineering's San Jose Earthquakes Stadium. 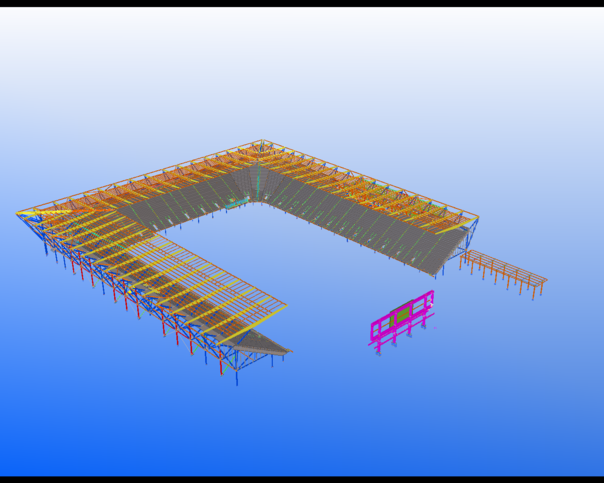 Tekla software was used for model coordination as per fabricator and general contractor’s requirement for model status, IFC, DWG export, public web viewer and dstv. They provided accurate, latest drawings where all information comes directly from the model, and thus minimizes the workload. The team also utilized the import & export capabilities and reports.